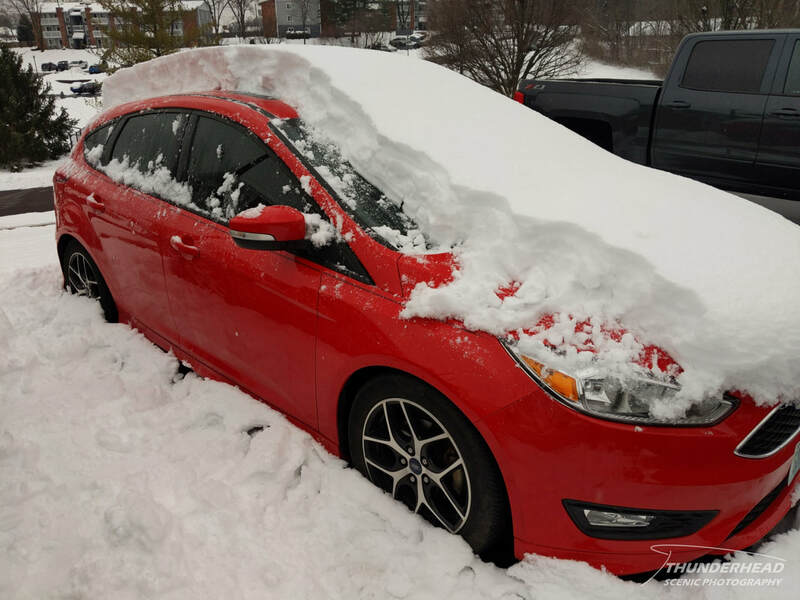 ​The models began showing several days out that a low pressure system was to pass across the mid-South and Ohio River Valley, putting the St. Louis, MO region and other parts of the Midwest in prime position to get accumulating snow. Temperatures would be just below freezing for most of the event, so the precipitation type would start out as snow and stay that way for most of the event. 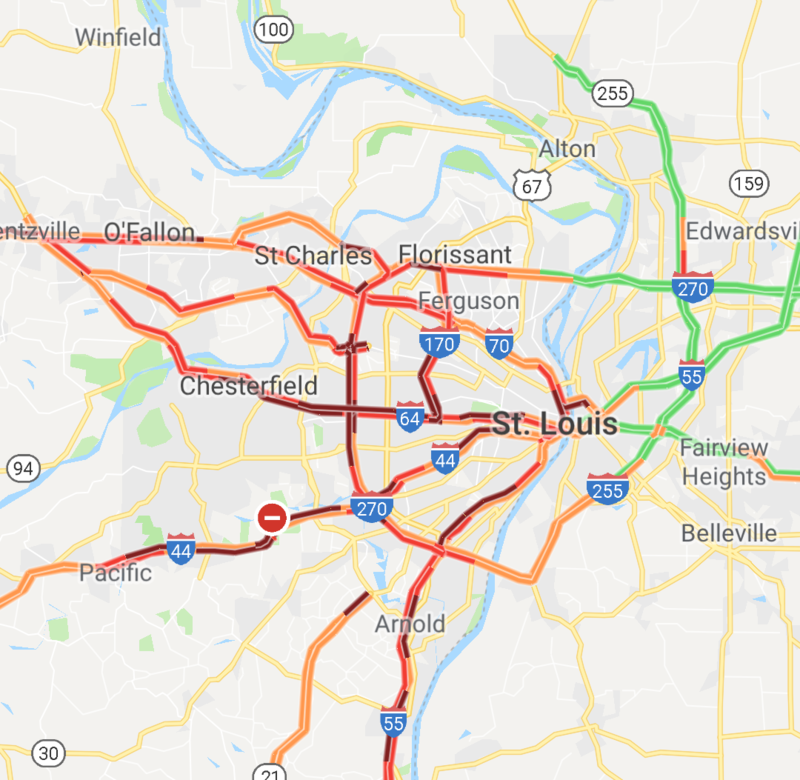 This is somewhat rare for the St. Louis area, as it seems that most significant winter weather events start off as a mix before transitioning to snow, or the freezing line bisects the area, leading to different precipitation types and conditions mere tens of miles apart. We continued exploring the neighborhood to check things out. 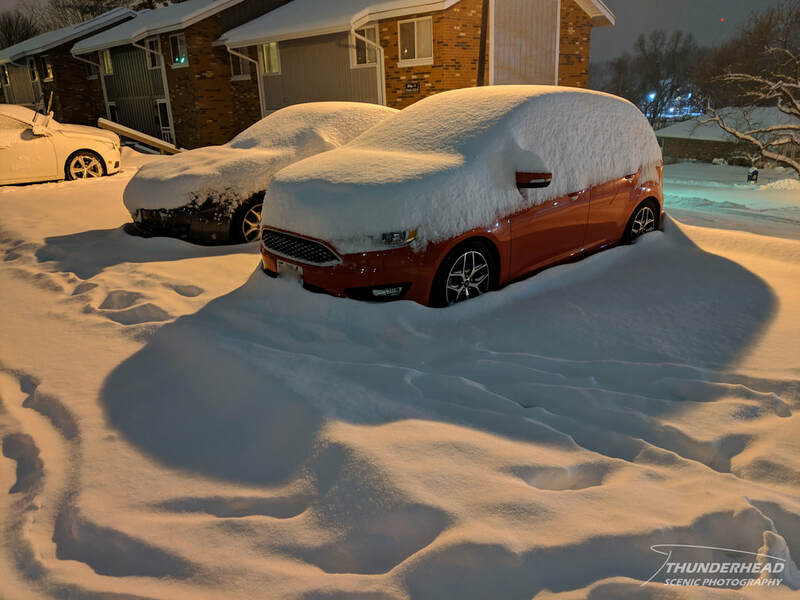 At this point, the snow was at a depth of at least 6.5 inches, with some drifts of 8-10 inches. 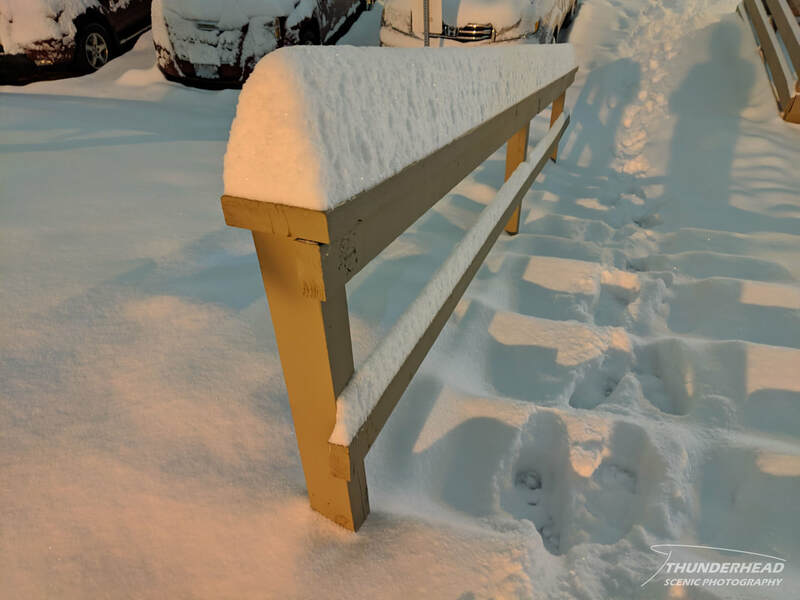 We awoke the morning of the 12th with a couple more inches on the ground, increasing the depth to approximately 9-10 inches. 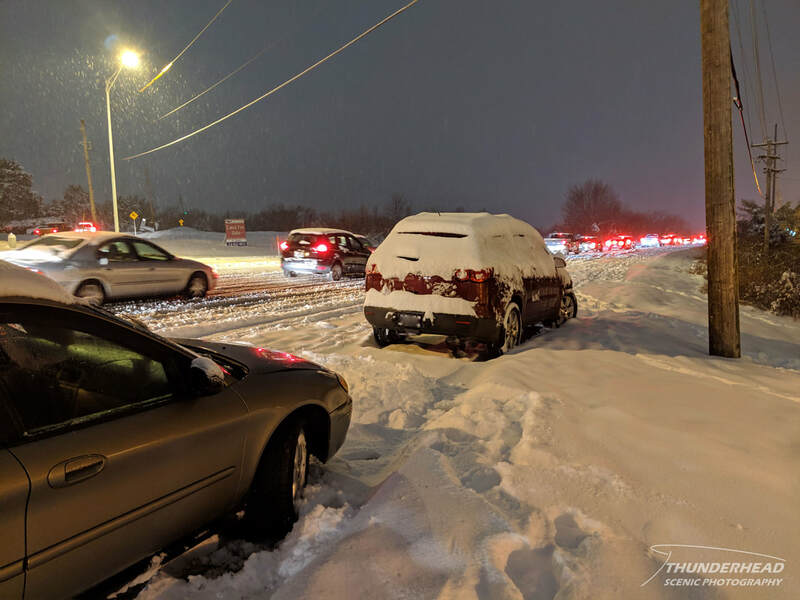 The temperature rose to the mid-30s, causing a little melting and helping to clear some of the slush that hadn’t been plowed off the roads. Some stretches of a few interstates were still messy and slow, and numerous abandoned and wrecked vehicles lined the shoulders. Some unfortunate people had to spend the night in their vehicles. There were several short bursts of snow throughout the morning and early afternoon, but these bursts ended up changing to all rain through the rest of the afternoon and into the evening before changing back to snow. We probably picked up about another 0.5-1 inch throughout the 12th, but with the melting and rain mixed in, it was hard to tell. The event wrapped up on Sunday, the 13th, with periods of light freezing drizzle and flurries. 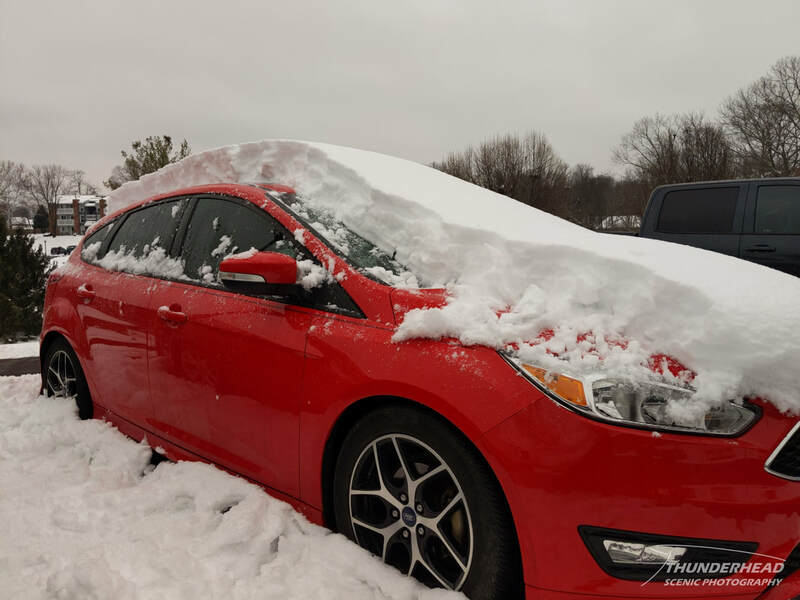 Cleaning off my car offered an interesting perspective of the amount of snow that had fallen (images below). Keep in mind that due to some melting and rain, the amount seen here is about 2 inches lower than what it had been. 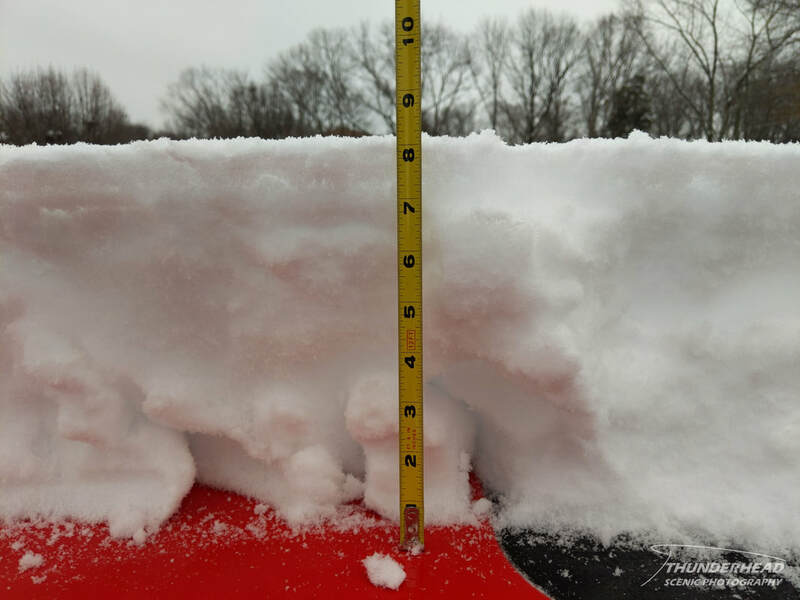 Personally, this was the second greatest snow accumulation I have experienced in the St. Louis area behind the early January 2014 12-inch event (my summary for that event can be found HERE), followed closely by an 8-inch snowfall in southern Illinois on February 5, 2011. 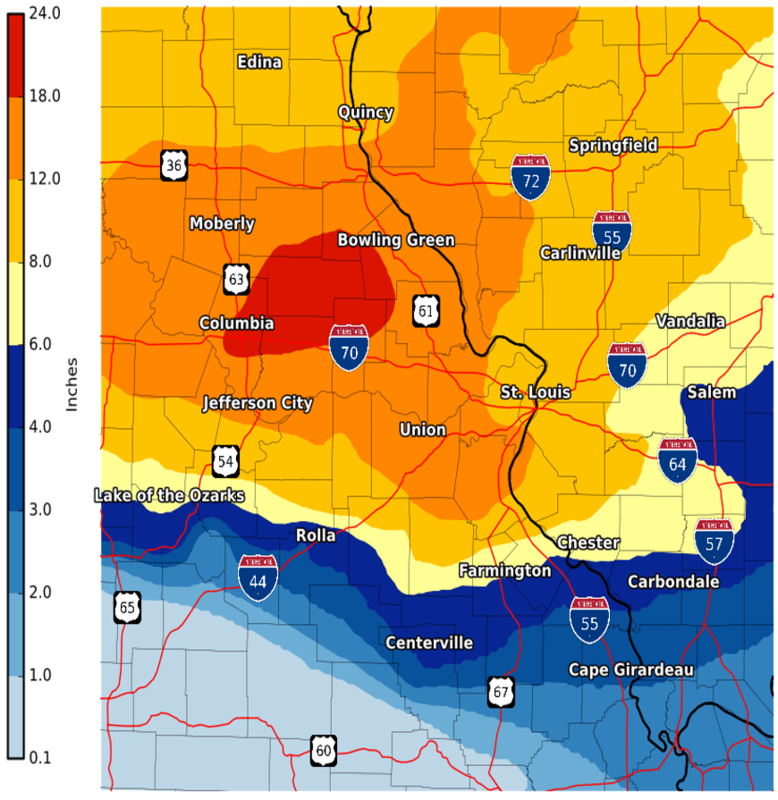 ​The St. Louis National Weather Service has an event summary webpage for this storm HERE. 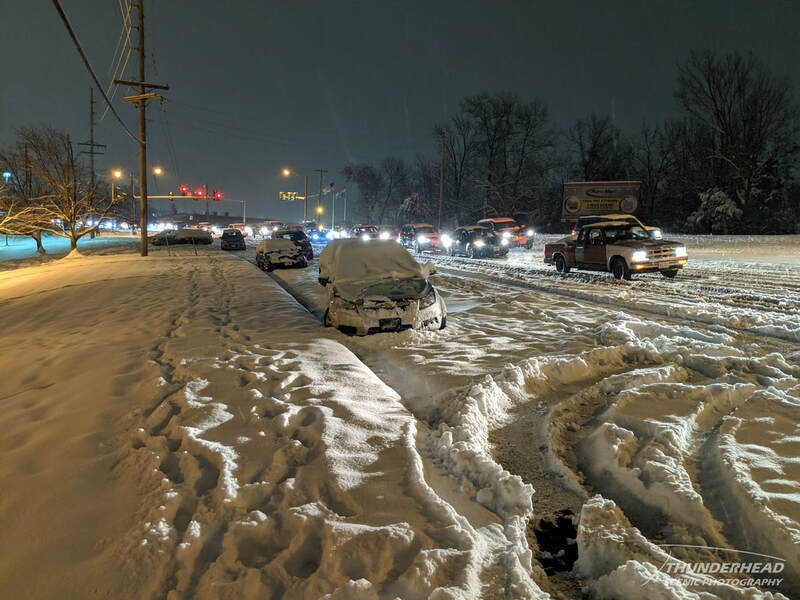 As stated before, this 2019 event crippled the metro area during the evening commute on the 11th, and footage of this can be found at the St. Louis Post-Dispatch, KMOV, FOX2, and KSDK websites.